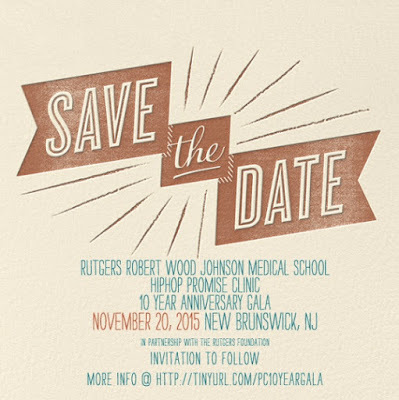 On the evening of Friday, November 20, 2015, Rutgers Robert Wood Johnson Medical School HIPHOP Promise Clinic is celebrating its 10 year anniversary by hosting its first annual Promise Clinic Gala, in partnership with the Rutgers Foundation. A limited number of pre-sale tickets (50 student, 25 non-student) are currently available at the link below until September 27. You may also find the itinerary for the event by following the link.